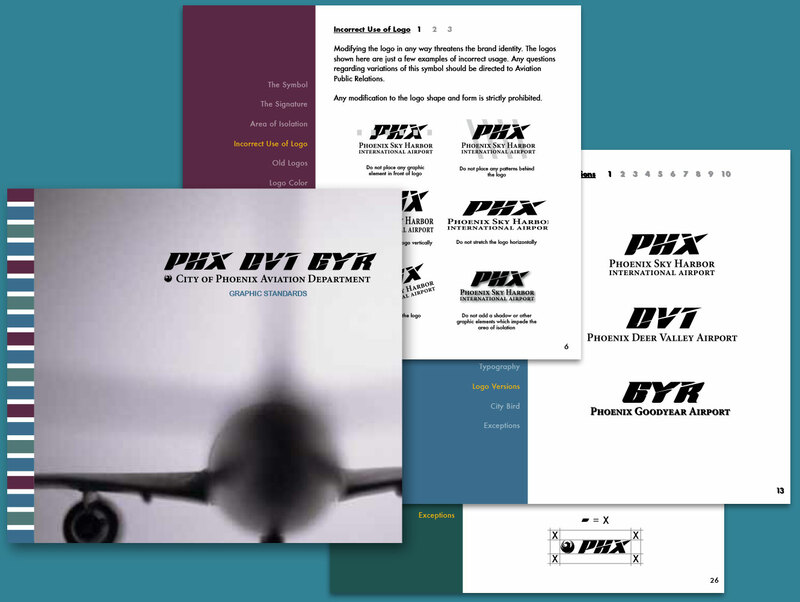 The City of Phoenix Aviation Department wanted a strong brand for Phoenix Sky Harbor – one of the fastest growing airports in the nation – to better communicate its leadership position in the international travel community. 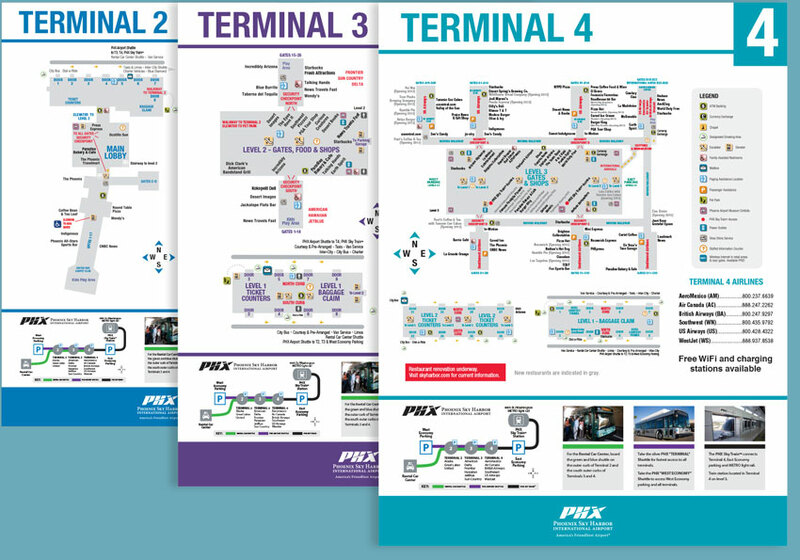 Known by its code “PHX,” the airport needed a strong mark to communicate its international leadership. 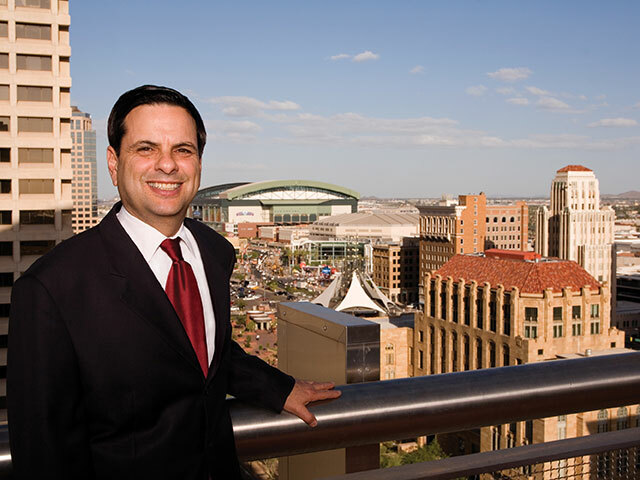 The development process included several city officials, departments and committees. 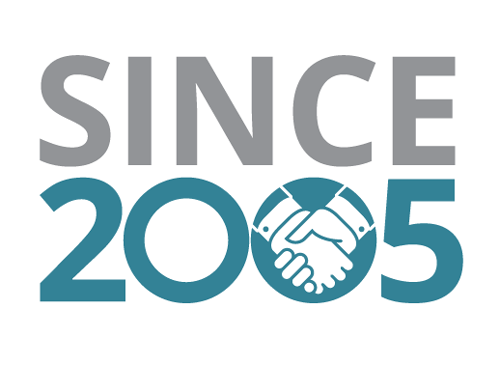 The result was a modern mark that evokes strength, innovation and forward thinking. Based on the new PHX logo, we designed the marks for its two affiliated airports: Goodyear and Deer Valley. 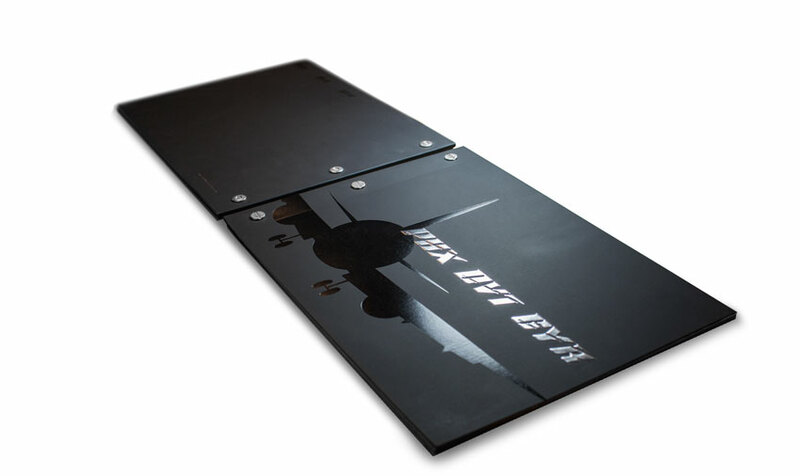 We also created logos for all airport departments, different applications and various related products. To ensure brand consistency, we developed an interactive manual for distribution to all departments and city officials, indicating approved use of logos, corporate fonts and color palette. 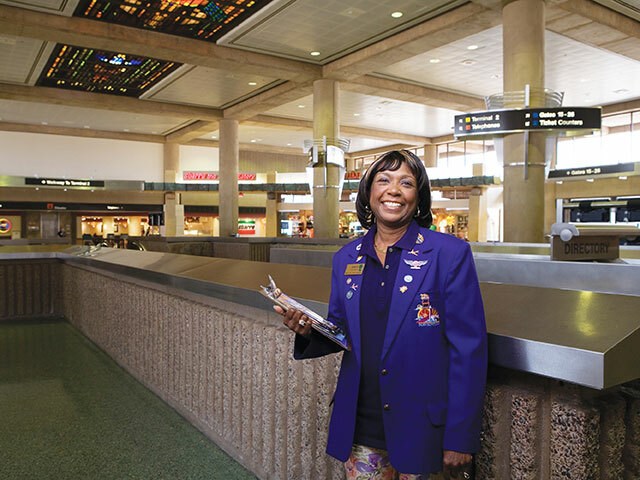 We managed the photoshoot for the annual report that officially launched the new brand and tagline, America’s Friendliest Airport®, featuring bold images of city officials, stakeholders and airport staff. 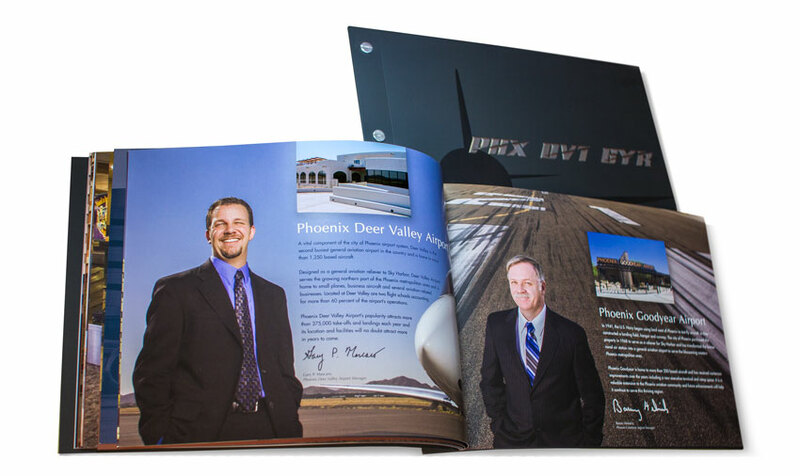 We designed the Annual Report that launched the new PHX logo and the “America’s Friendliest Airport®” brand. 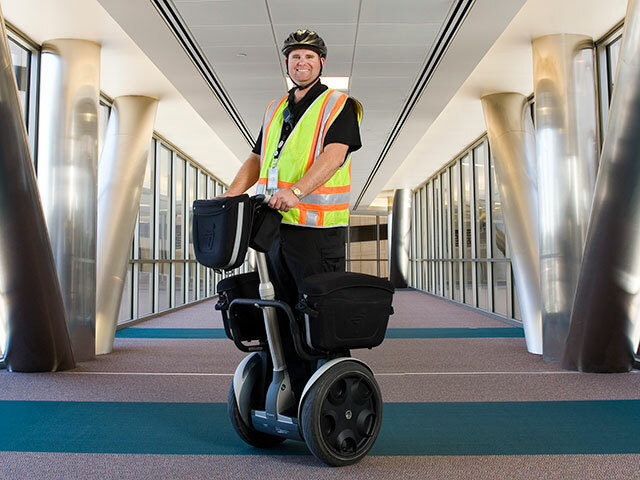 The report featured several stakeholders, from the City of Phoenix Mayor Phil Gordon, to the airport’s own staff and friendly volunteers, the Navigators. 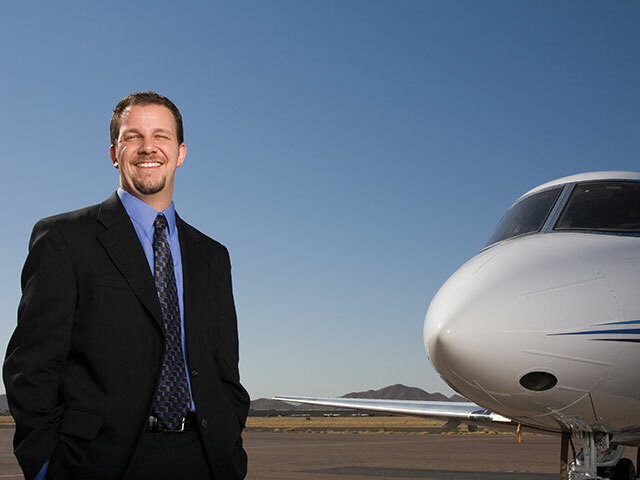 The report, which also included Phoenix Deer Valley and Phoenix Goodyear airports, focused on customer service, innovation and the community at large, with highlights on major renovations, upcoming improvements and community outreach programs. 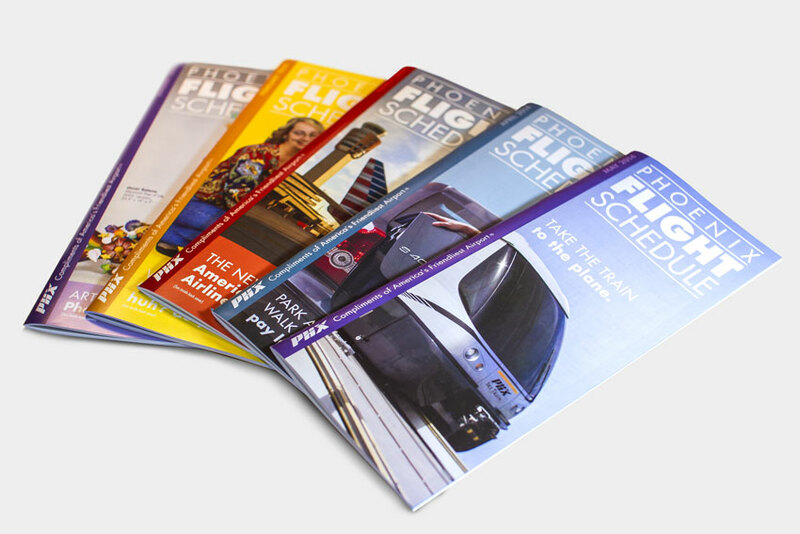 We developed several print communication collateral, including monthly flight schedules, airport guides and fun giveaways for various community outreach and promotional events. 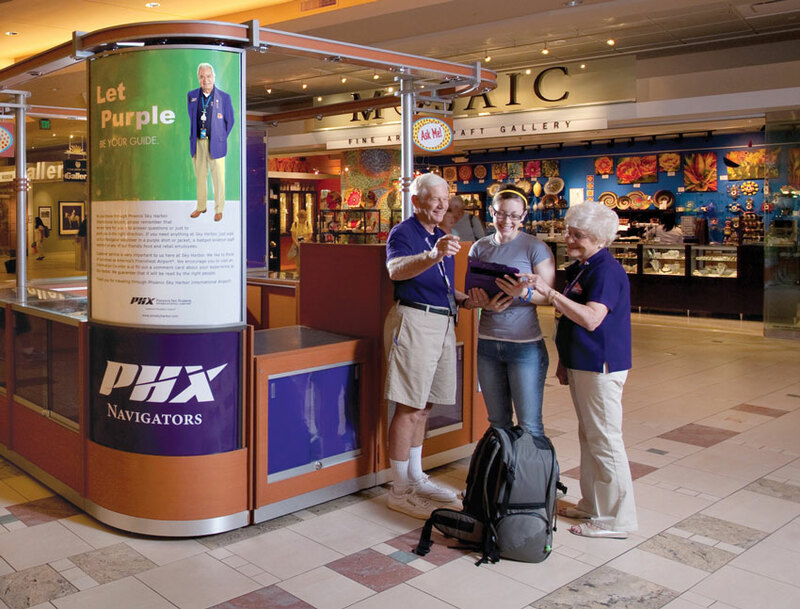 We designed large-scale ads for placement at the airport’s customer service kiosks and on transit vehicles. 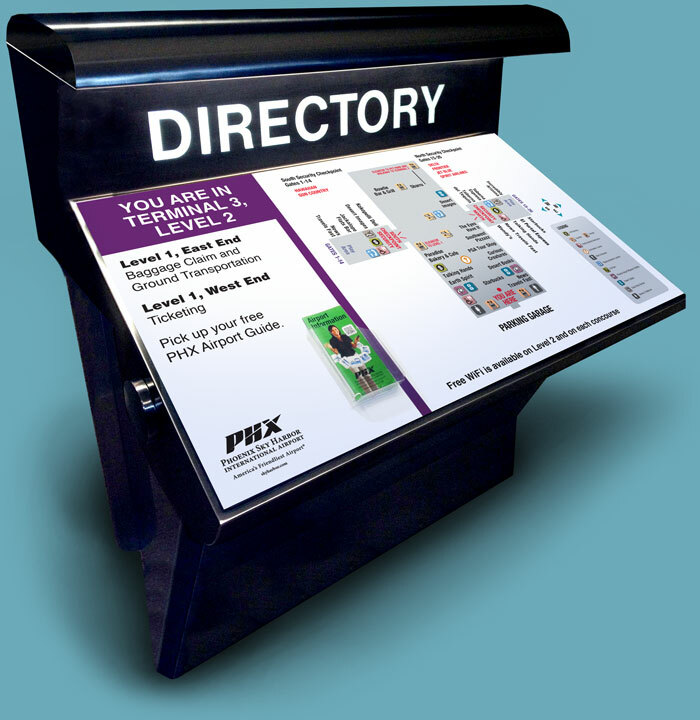 We also assisted with designing and updating directional signage, including terminal directories, airport guides and roadway maps. To promote the anticipated launch of the PHX Sky Train®, we produced an animated holiday card featuring the train moving across terminals. Because the train was not yet operational, we created a 3D rendering to simulate the real thing, and animated that along a static shot of the airport skyline. 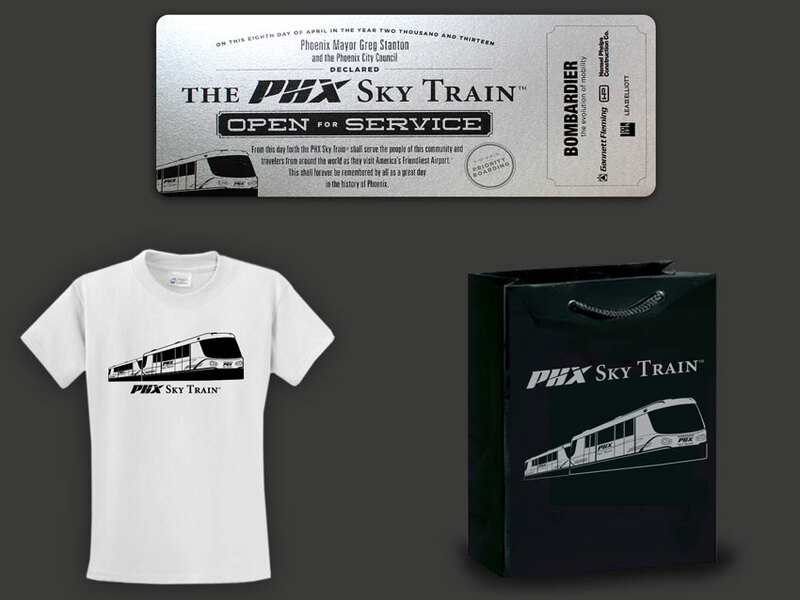 We developed all material for the PHX Sky Train® grand opening event, including a commemorative VIP pass for first 1,000 riders. Since the train was under construction at the time of production and no photos were yet available, we created a line art illustration based on the engineers’ blueprints. 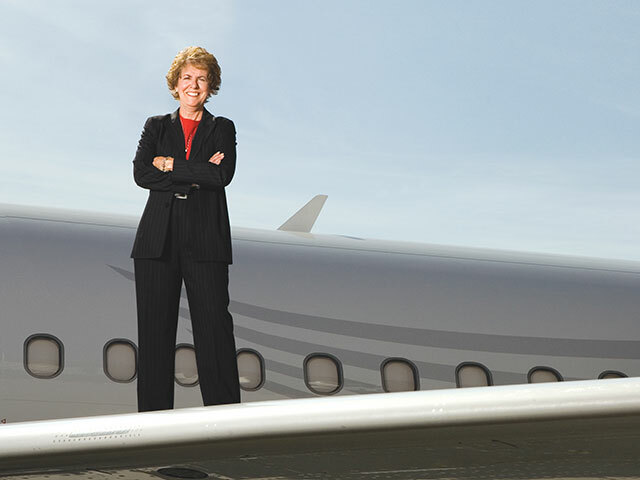 We are proud to have worked with the City of Phoenix Aviation department for nine consecutive years, assisting with various marketing needs through several milestones, including the construction of the new control tower, the expansion of Terminal 4, the grand opening of the Rental Car Center and the launch of the PHX Sky Train®. 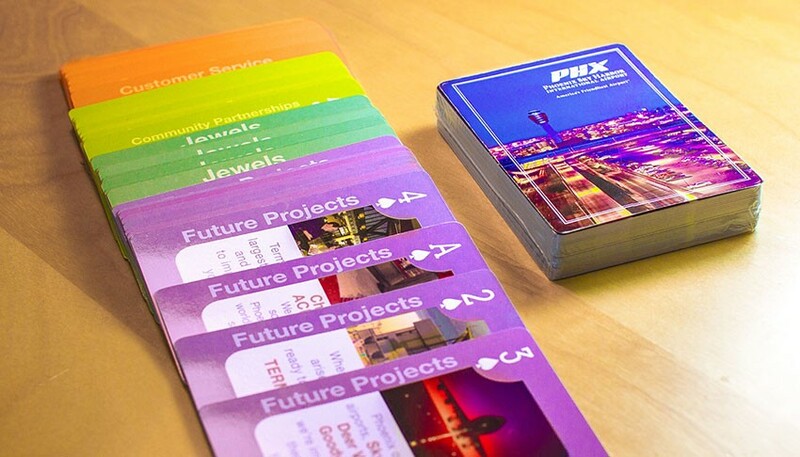 The new PHX logo and suite of related marks won the prestigious Airports Council International Award for North America’s Excellence in Marketing & Communications. 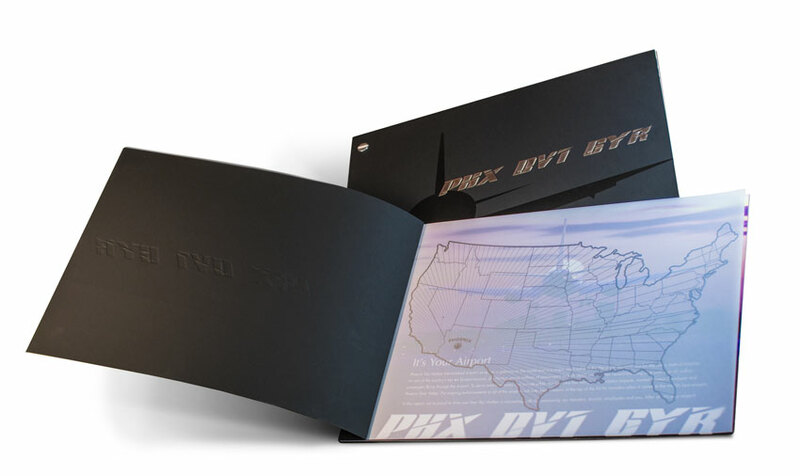 The PHX Sky Train® animated holiday card won an AVA Digital Gold Award.